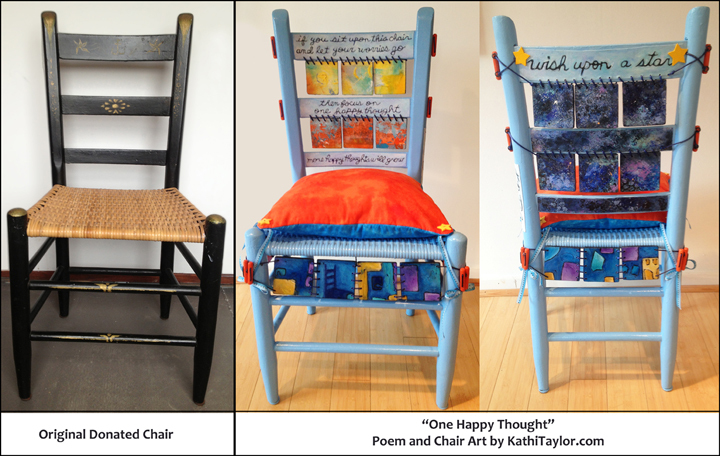 “One Happy Thought” – Poem and Chair Art created by Kathi Taylor for the “Sitting Pretty” fundraiser, November 2013. 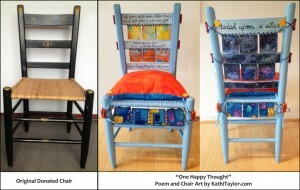 The chair will be auctioned to raise money for the Orleans Branch of the Cape Cod Hospital Auxiliary. Auction is being held at the Cultural Center of Cape Cod, November 16, 6 to 8 PM.